An odd combination in this post. New Zealand Land snails are nationally a threatened group of species, and although Bumble Bees are quite common in New Zealand, some species in the United Kingdom are also threatened, to the point that bees have been re-repatriated to assist UK stocks. Not, I under stand all that successfully so far. 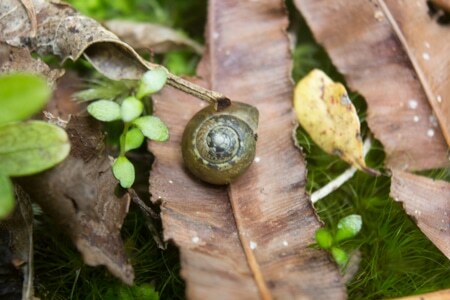 Today on Ulva Island with guests we found one of New Zealand’s native land snails. We see these only on vary rare occasions, and a sharp eyed guests spotted it on a Lancewood leaf. Summer on Stewart Island sees the emergence of Bumble Bees. There are apparently 4 species introduced into NZ to assist the pollination of clover for agriculture. According to the literature I’ve seen ours are probably Bombus terrestris and Bombus terrestris. 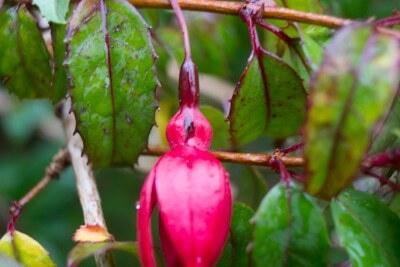 Last year they were prolific, and on Ulva we found them in large numbers feeding on an introduced Fuchsia’s flowers. At least one of the two species seems unable to “dip” the bloom, due to the long body of the flower, instead chewing a hole at the base of the petals to access the nectar. This of course means the flower is not pollinated, and the bees are able to harvest the nectar for some http://premier-pharmacy.com/ considerable time. This year we’ve had a very wet summer, and the bee numbers are only a tiny fraction of last year, and consequently I’ve found only two fuchsia blooms that have been chewed.